Thanksgiving is a time of reflection. It’s a time to express gratitude for people and things in our lives for which we feel thankful. People often review their life events from the previous year, thinking about their struggles and accomplishments. Families dealing with mesothelioma may feel as though they’ve faced many battles and feel grateful for people who helped along the way. Patients and families likely feel a bond of gratitude with members of their oncology team. Doctors, nurses, anesthesiologists and other medical professionals are there for families in times of need. They help design and implement treatment plans that address the needs of their patients. Mesothelioma patients understand and appreciate the efforts involved in good medical care. Family caregivers are the unsung heroes of a mesothelioma care team, selflessly providing comfort and care to their loved ones. Families may grow accustomed to the efforts of their family caregiver, and expressions of gratitude can become secondary. Feeling appreciated is a necessary part of a family caregiver’s emotional self-care. Family members may overlook the efficacy of a simple notion of gratitude such as a phone call, note or card. Taking a moment to tell a family member how much you appreciate their tireless caregiving efforts is very impactful and can be very uplifting. Notice Their Efforts: Tell your loved one you noticed all of their hard work. Many caregiving duties appear to go unnoticed such as household chores, meal preparations, picking up prescriptions and providing emotional support. Mentioning some of the caregiver’s specific duties lets them know you are aware and thankful for all they do. Praise Their Sacrifices: Sometimes family caregivers quit their jobs or forgo hobbies to fully dedicate themselves to providing care. It is important to convey an understanding of the sacrifices, however big or small, family caregivers endure to address the needs of those they love. Express Appreciation: There is power in thoughtful expressions of gratitude. Fancy words and gifts are not required. A heartfelt message of thanks is enough. Simply telling a family caregiver that your family appreciates their work is sufficient. A spoken or written thank you expresses well-deserved gratitude for hard-working family caregivers. When families deal with mesothelioma, many of them feel overwhelmed. Facing cancer is not easy for any family. It is emotionally and physically taxing for patients and those who love them. When enduring struggles as a family, we can sometimes overlook important elements of caring for each other. Well-deserved expressions of gratitude may go unspoken, and caregivers may feel their family members don’t truly understand all the efforts involved in caring for a loved one. Family caregivers who feel appreciated will feel good about their hard work, cope more efficiently with the difficulties they encounter on a daily basis, and be emotionally prepared to perform the duties necessary to provide nurturing care. Caregivers who feel shortchanged in the gratitude department shouldn’t feel defeated. The measure of a caregiver’s efforts will not likely equate to the thanks received. However, there are ways to create a more appreciative family environment that may influence a spirit gratefulness among family members. Caregivers who feel unappreciated may harbor feelings of resentment, sadness and other negative emotions that may hinder their caregiving abilities. 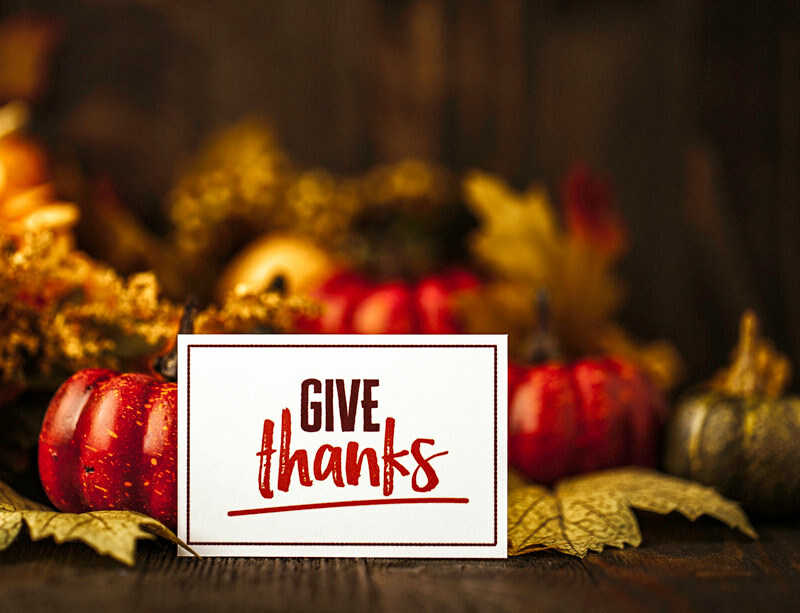 Dr. Barry J. Jacobs, a clinical psychologist and contributor for AARP, offers tips for caregivers to set a tone of gratefulness in their family. A family caregiver can use a little finesse and humor to sow seeds of thankfulness in their home. A Detailed Job Description: Many family members underestimate the required duties of a primary caregiver. It may invoke feelings of appreciation when people understand the caregiver’s daily activities. It may also give family members ideas of ways they can help. Post a to-do list and let others know you could use some help. Make It Funny: If you feel as though a task is going entirely unnoticed, it may help to incorporate a little humor. You might crack a joke to minimize your extensive efforts which may draw attention to the hard work you do. A “lowly-servant” or “CEO” joke may help others recognize the work involved in caregiving. Follow the Leader: One of my go-to teaching tools when working with families is modeling. If the goal is for a person to learn a behavior, sometimes a hands-on approach is an effective tool. If notions of gratitude are what you seek, pour on the “please” and “thank-you” for even the smallest accomplishments of others. Providing care for a critically ill family member is one of the hardest things a person will ever do. No one could pay enough money or shower enough gifts to truly compensate the loving efforts of a primary caregiver. As families reflect on all they are thankful for this holiday season, caregivers may not place quite high enough on that gratitude list. A special “thank-you” is due to the truly altruistic, self-sacrificing, unsung heroes in the mesothelioma community: The family caregivers who spring into action and make sacrifices when cancer strikes. The primary family caregiver is truly the foundation in a good oncology team. Thank you for all your sleepless nights keeping watch. Thank you for the dinner you didn’t feel like cooking. Thank you for clean clothes and fluffed pillows. Thanks for putting your family first and sharing in the good times and keeping our spirits high. But perhaps most importantly, thank you for showing us all how to love.